Got this "Transmission overheating stop safely" notice. As one of the other replies said, drive it like a manual. I have 110,000 miles on my '13 Titanium hatch. I love everything about this vehicle EXCEPT the PS 6-speed. I bought the extended powertrain warranty from the dealer when i bought the car new, and it's paid for itself many times over. First time in was for clutch pack failure and TCM replacement. 2nd time in was for shift motor failure. 3rd time in was leaking seals and another clutch failure. Never really left me on the side of the road as I was able to limp it into the dealer each time and the dealer arranged for covered rental each time. Apparently there have been some engineering improvements on some of the components and the dealer used these for my repairs. No problems in the last 30k mi. I attribute the newfound longevity to the improved components and the changes I've made to my driving habits. When in stop-and-go traffic put it in neutral. Shift into drive when you can maintain a steady speed of at least 5-7mph then when you stop put it back into neutral, rinse and repeat. Don't drop the hammer off the line. Ease into it, These trannys CAN NOT be driven like e fluid-coupled unit. 2013 Focus Hatchback in Platinum tri-coat. If you got a pretty good shudder, take it in. My recent clutch job was covered under the 5 year/60,000 mile powertrain warranty. Since you got a 14 with 33,000 miles, you should be golden. Sounds like you might still be under your bumper to bumper warranty too. If so, have them fix anything that might be messed up while it's free. For example, my grill shudders basically fell apart and my dome light was being stupid due to a BCM issue. Expensive repairs that cost me $100 (I've got a Ford Extended Service Plan) but would have been free under a bumper to bumper. Well, almost 2 years since this post and all is still well. Got 143,000 miles on the clock and still going strong. Got CEL last week with P0456 DTC. Cleared it once and it came back three days later. Ordered new purge valve. Hoping that will do the trick. Good to hear you still have it! It's a pretty great car, aside from a couple of known issues. Thankfully the community is always there to help out when you have something "weird" going on. You get it sorted out, and return to business as usual, right? This thread is kinda surreal. I had the exact same problem as the OP... driving my ‘14 up to Dodger stadium and receiving the same warning. Since then I’ve learned to drive the car more like a manual and never feather the brake. I hate bumping an older thread however I need some help please with my 2012 Ford Focus. Went out tonight and stopped at McDonalds for about 30 minutes then got back on the interstate and suddenly felt a lurch like in the car and then the transmission overheating warning came on. Pulled over and let it rest for a few minutes and turned it on and tried to go and the engine will rev but it acts like it is transferring very little power so was only able to creep under 20 mph and thus triggers the overheat msg again. 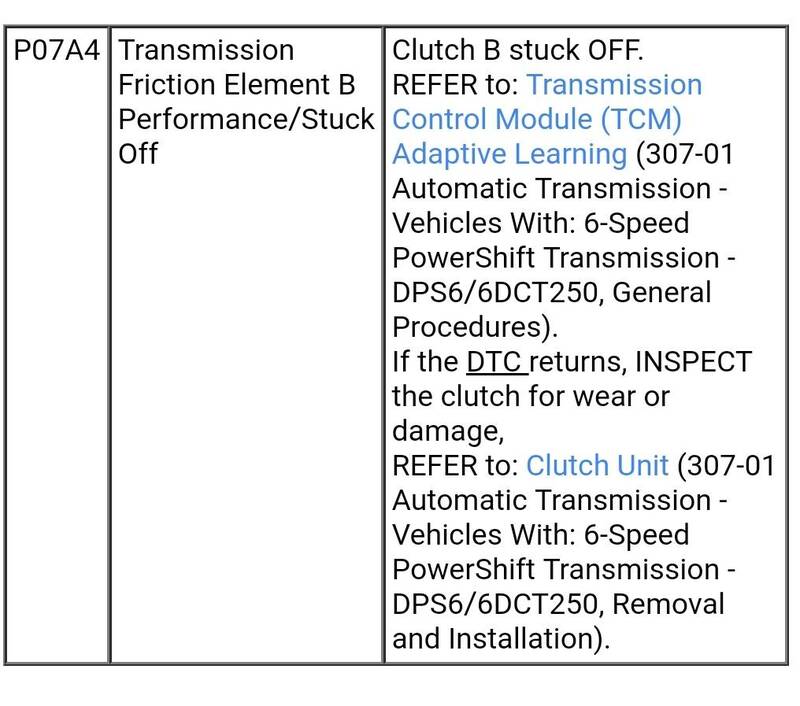 So, transmission bad or is it more likely the TCM decided to die again? Car has over 230k miles so its seen alot of action. Any idea of a ballpark figure for replacement and how long the shop will need to do the job?